Welcome home to this beautiful single level floor plan on one of the very best water view locations in Southshore Falls the premiere 55+ community in Apollo Beach! 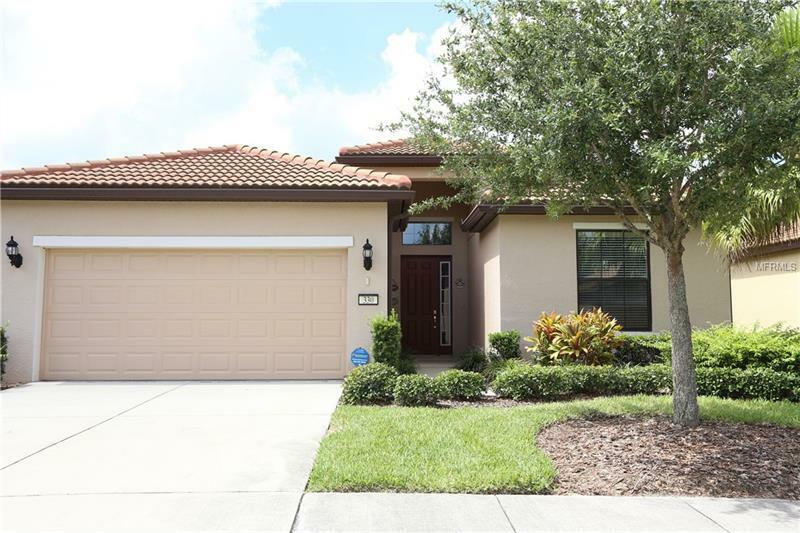 This well cared for home has a spacious layout including a Living Room Dining Room Den large Great Room Kitchen with upgraded 42â cabinets granite counters large island and dining area 3 bedrooms and 2 baths plus extended lanai. The entire home is tiled throughout with beautiful neutral tile on the diagonal just adding to the spacious feel of the floor plan. Crown molding throughout main living areas. Enjoy both sunrise and sunset views from extended screened lanai overlooking the largest pond in the community. Oversized 2 car garage is extended an optional 4 feet. Southshore Falls is a Del Webb resort style community offering a gated 24 hour guarded entry and 14000 square foot clubhouse with amenities including beautifully maintained grounds through the community lagoon pool resistance pool jacuzzi fitness center tennis courts pickle ball bocce ball putting green walking and biking trails arts and crafts room pool room library/card room internet cafÃ© Grand ball room numerous activities and clubs full time social director all maintenance free. Located near Tampa St Petersburg Bradenton and Sarasota with easy access to I-75. Close to dining shopping airports hospitals cruise lines and beaches. No CDD Fees. Pet Restrictions: No pit bulls.